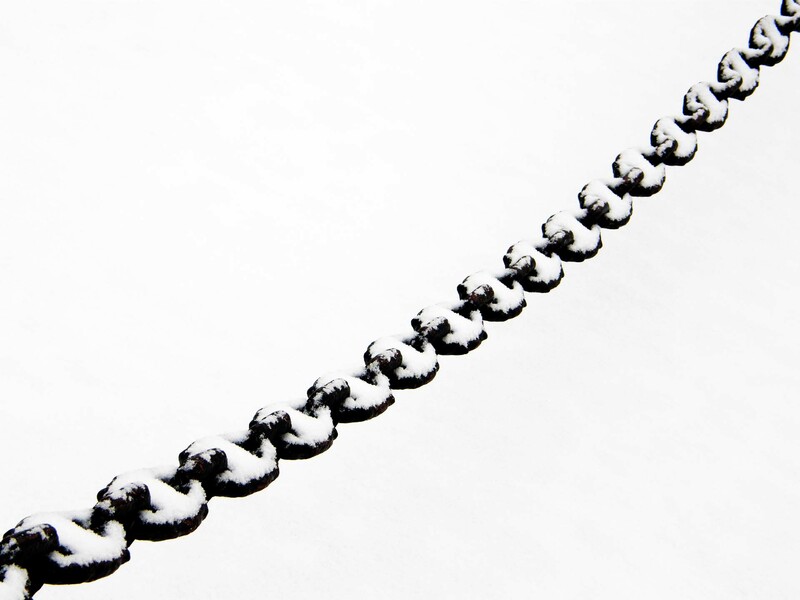 Decorated with snow and against a snowy background, a chain of heavy iron links marks a boundary. I originally published this week’s photo of the week at the GBG365 website on 28th January 2013. It was a snowy winter in Gothenburg that year. I was passing Gustaf Adolfs torg – the central square of the city – early in the morning after snow had been falling all night. It was, I think, a Sunday and no one about. The heavy black chains that mark off a space around the statue of King Gustaf II Adolf stood out in strong contrast.